Bandai Namco has announced that Tales of Vesperia: Definitive Edition will be releasing on 11th January, 2019 in the West, skipping 2018 entirely. There will be a special edition though, so die-hard fans of the series have something to look forward to! There isn’t much to see from the special edition at the moment, but get a look at this snazzy steelbook which will be included below! 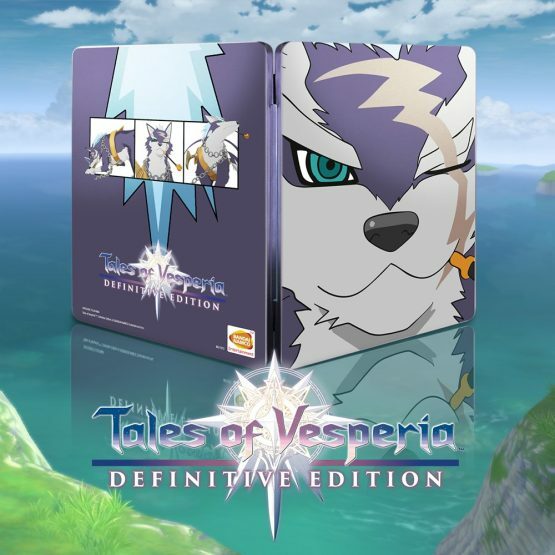 Tales of Vesperia is currently celebrating it’s 10-year anniversary, and this will be the first time that the game is available on a platform other than Xbox 360. It will be releasing on PS4, Xbox One, Switch and PC.